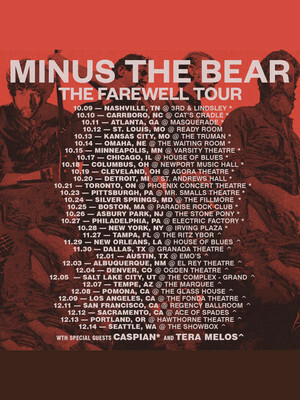 Don't miss out on Minus The Bear's Farewell tour! Why See Minus the Bear? Seattle natives Minus The Bear combine sophisticated math rock time signatures with ear-burrowing melodies and tongue-in-cheek lyrics (with song titles Monkey!!! Knife!!! Fight!!! and Lemurs, Man, Lemurs, the quartet indeed marches to the beat of their own intriguing odd-metered drums). Bursting out of the windy city with their prog-tinged indie rock in 2001, the band hit their stride six years later with the release of seminal fan favorite Planet Of Ice. Now its time for the group to say goodbye as they announce their Farewell tour! After almost 20 years in the business the group have decided to close this chapter of their lives, but not without going on an epic tour first! Giving their fans one last taste of their greatness Minus The Bear aim to leave their lasting legacy in the hearts and minds of the people who love them. Seen Minus the Bear? Loved it? Hated it? Sound good to you? 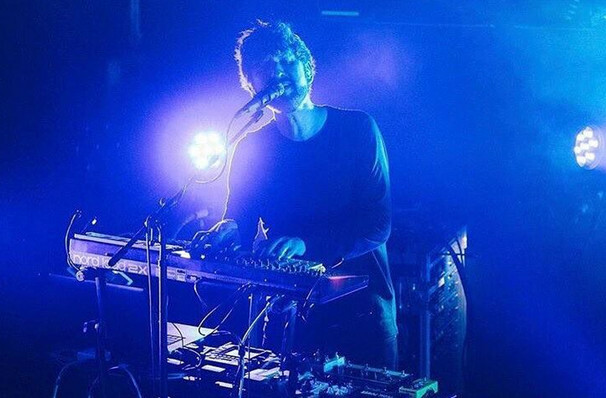 Share this page on social media and let your friends know about Minus the Bear at The Ready Room St. Louis. Please note: The term The Ready Room St. Louis and/or Minus the Bear as well as all associated graphics, logos, and/or other trademarks, tradenames or copyrights are the property of the The Ready Room St. Louis and/or Minus the Bear and are used herein for factual descriptive purposes only. We are in no way associated with or authorized by the The Ready Room St. Louis and/or Minus the Bear and neither that entity nor any of its affiliates have licensed or endorsed us to sell tickets, goods and or services in conjunction with their events.